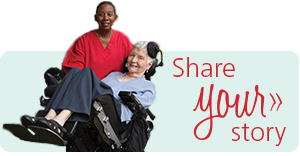 Helping those with ALS live at home with comfort, independence, and dignity. As young newlyweds in 2010, Royce and Natalie were excited to start their life together. 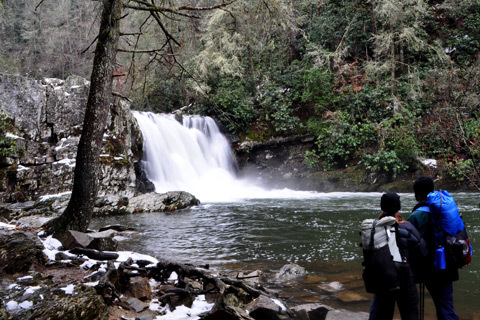 They shared a great love for each other and the outdoors, looking forward to many years of new and exciting adventures. But, just four months into their marriage, they received news that would alter their plans forever: Royce’s recent muscle weakness and bouts of falling were caused by ALS. Amyotrophic Lateral Sclerosis (ALS) – also called Lou Gehrig’s disease – is a progressive neurodegenerative disease that damages motor neurons in the brain and spinal cord. Eventually, the motor neurons die, causing the body to become paralyzed. People with ALS progressively lose control of their muscles, including those used to breathe. 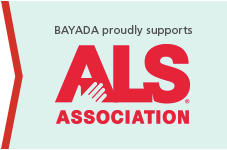 Currently, ALS is an incurable, terminal disease. Royce and Natalie met this devastating diagnosis with resolve and a commitment to staying active and living their lives to the fullest, regardless of how much time they have together. In fact, shortly after being diagnosed, Royce shared on his blog, Journey on with Royce, that his number one goal is staying alive for many years to come. Throughout their first year of marriage, Natalie not only took on the new role as Royce’s wife, but also his primary caregiver. Being a neurotrauma ICU nurse, Natalie had the skills and experience to care for Royce. However, after they welcomed their daughter, Lillian, in 2012, they both realized that Royce needed more care than working mom Natalie could provide. That’s when they contacted BAYADA Home Health Care. Pam and Rebecca traveled to Florida for the Ride2Recovery “Gulf Coast Challenge;” participated in several Walks to Defeat ALS and cycling events; took part in the ALS Ice Bucket Challenge with Royce; helped him create his nonprofit Active Reconnect; and are currently training for the 2014 ALS Connect Tour.